September 2, 2015 /0 Comments/in Cerebral Palsy /by Reiter & Walsh, P.C. May We Help is a Cincinnati-based organization made up of volunteers who “design and create unique, custom solutions for individuals with special needs to engage in and pursue their passions.” Their latest endeavor, coming from their Columbus, Ohio group, was building a flotation device for Caleb Hall, a child with cerebral palsy. The device allows Caleb to float in a pool without assistance from his parents or therapists. Russ Abrams, a May We help volunteer, explains, “We fill the gap between their disability and what the activity requires.” Abrams and the rest of the volunteers built two other buoyant prototypes that were ultimately flawed in their designs. Addressing necessary alterations brought on by Caleb’s cerebral palsy, such as the need for head support and limited muscle control, the team settled on a design made up of a reinforced life vest, foam padding, and a pool noodle. “For him to have this freedom in the water is unbelievable,” explained Jennifer Hall, Caleb’s mother. Caleb was able to try the device over the weekend at the Hilliard Family Aquatic Center in Hilliard, Ohio. He broke into a smile as he floated on his own for the first time. Cerebral palsy is a group of movement disorders caused by injury to a child’s developing brain. A common cause of brain injury in babies is oxygen deprivation during the labor and delivery process. When a baby doesn’t receive enough oxygen to the brain, it can result in hypoxic ischemic encephalopathy (HIE). There are several types of treatments and therapies available that can improve the life of a child with cerebral palsy. Research shows that children with cerebral palsy benefit greatly from exercise and physical therapy and that these activities can improve their life expectancy. There are also many devices that can provide important support for children with cerebral palsy. These devices can improve quality of life by enhancing social interactions and functional abilities. If your child has cerebral palsy caused by a birth injury that could have been prevented, it is important to choose a lawyer and firm that focus solely on birth injury cases. 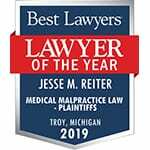 The birth trauma attorneys at Reiter & Walsh ABC Law Centers have over three decades of experience with cases involving children who were injured due to medical malpractice. 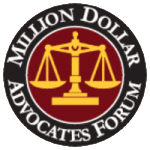 Their knowledge and hard work has paid off for their clients, earning them millions in settlements to help pay for medical bills, as well as the many expenses that come from a lifelong disability. The attorneys at Reiter & Walsh ABC Law Centers are advocates for children and families affected by birth injuries caused by the negligence of doctors and medical professionals. Our nationally recognized birth trauma attorneys are available to speak with you 24/7 and will provide you with a free legal consultation.